This is The Digital Story Podcast #670, Jan. 15, 2019. Today's theme is "The DJI OSMO Pocket Review, Las Vegas, and More." I'm Derrick Story. Las Vegas was lit during CES week. 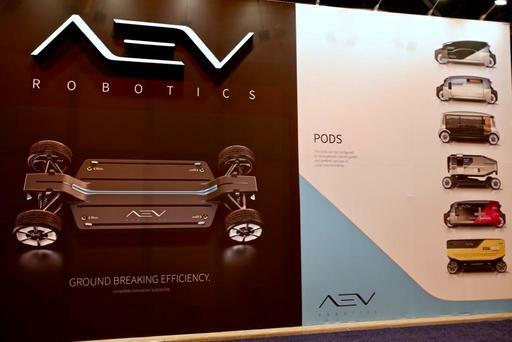 Thousands of technology professionals from all over the world converged on sin city to show their inventions and discover those by others. 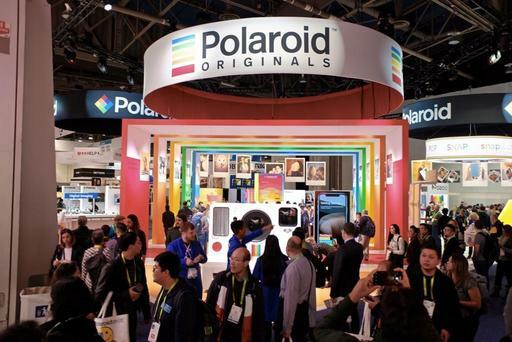 I was in the middle of it all, and with me was the DJI OSMO Pocket to record the sights and sounds of this consumer tech wonderland. So how did it perform? Is the OSMO Pocket a breakthrough device or just another geek toy? Stay tuned for my verdict. The DJI OSMO Pocket ($350) debuted before CES with much fanfare and discussion. The petite 3-axis gimble 4K movie camera fits nicely in a top shirt pocket, but packs an incredible amount of imaging power in its svelt frame. It is not perfect, but by any reasonable measure, it is a breakthrough device. The features that I was most interested in were video recording (1080p and 4K), SloMo capture, timelapse, panorama, and audio recording. Here's my opinion on all of those functions. 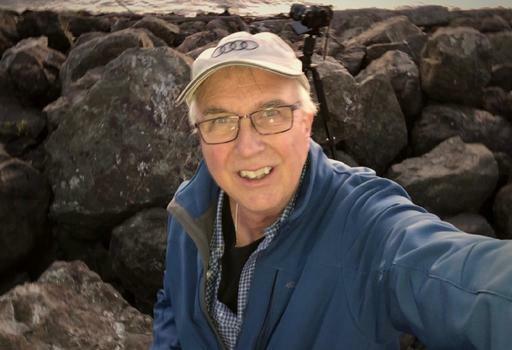 For sample videos, audio, and images, see my post titled, DJI OSMO Pocket Review - It's Probably for You on TheDigitalStory. Please note that to test this setting, you must log out from the admin panel. When you are logged in as admin, you have access to all the pages. To enter, send your best B&W portrait to thenimblephotographer@gmail.com by Jan. 22, 2019. Subject Line: B&W Portrait Contest. Make sure you have permission from the subject. Entrant must have captured the image and performed all of the post production on it. Recommended size of the image is 2000 px on the longest edge. The selected image will be featured on TheDigitalStory and the photographer will receive a 1-Year Pro Account with Portfoliobox. To create your own Portfoliobox site, click on the tile that's on every page of TheDigitalStory or use this link to get started. If you upgrade to a Pro site, you'll save 20 percent off the $83 annual price. Set your gambling budget before you leave, and stick to it. If you lose your money, it's gone. And throwing more money after it will not bring it back. Alternate water and alcohol when out on the town. Have one cocktail, then one ice water. Repeat as often as necessary. Do not accept anything handed to you on the street. Period. Avoid rip-off cab companies. My experience is that it's best to stick with ride sharing and the monorail. But if you have to take a cab, such as from the airport to the hotel, ask what the expected price should be and if there are any add on charges beyond what the meter reads. Fares to most hotels on the strip should not be more than $23. Shy away from over-priced restaurants. There are many fine eating establishments in Las Vegas. Do your homework first and avoid the outrageous steak houses and big name chefs. I've secured a beautiful home for us just south of Bodega Bay. This will serve as our headquarters during the event. There's plenty of room for our classroom and presentation work, plus beautiful areas for relaxing, and even sleeping accommodations for those who wish to stay there. If you do want to join us July 17-19, and I hope you do, please visit the Workshops Signup Page and place your $100 deposit. That will secure your ability to attend when official registration begins later this month. You can also read more about the event on the TDS Workshops page. Inner Circle Members: Our current Photo Challenge is Repetitive Pattern. Check your Patreon page for the details and prize. And thanks for supporting this podcast! The DJI OSMO Pocket ($350) debuted before CES with much fanfare and discussion. The petite, 3-axis gimble, 4K movie camera fits nicely in a top shirt pocket, but packs an incredible amount of imaging power in its svelt frame. It's not perfect, but by any reasonable measure, it is a breakthrough device. The functions that I was most interested in were video recording (1080p and 4K), SloMo capture, timelapse, panorama, and audio recording. Because I've been using a DJI Spark for over a year, I felt like I already knew the OSMO when I first fired it up. They are indeed cousins from the same family. And like a DJI drone, the initial introduction might test your patience. Instead of powering up and recording a video, you must first endure a mildly tedious setup process where you register the device with your DJI account. All I have to say is you will get through it, and don't let it deter you from your goal of embracing the OSMO. Do plan on 10-15 minutes before you can actually get to work. There are two basic ways to use the OSMO Pocket: as a standalone device and connected to your smartphone. I began my journey using it as a standalone, walking through the press events at CES. It must have been quite a sight seeing a tall man strolling through the crowds with this petite device in his hand. As you will witness from the movie, no one seemed to care. The OSMO Pocket is too cute to be intimating. With a little practice, I learned to shorten my stride providing even smoother capture. The gimble is terrific, in spite of the cameraman, and viewing the footage creates a real sense of presence. At this point, I was already hooked. In standalone mode, you have a 1-inch screen to serve as the monitor. It's helpful for initial setup. Swipe right-to-left to configure the video settings, swipe up to initiate any of the special features such as ActiveTrack, and swipe down for the settings menu. When you've recorded the footage, swipe left-to-right for playback. It's that simple to operate. But the real key to using the OSMO in motion is to set it up, then use your eyes to make the movie. Once I centered the screen on the scene that I wanted to record, I only checked it sporadically during capture, instead concentrating on holding the device steady as I moved through the crowd. With a little practice, this technique can produce very intimate moments. It's a little like becoming at one with the universe. Adding the iPhone X to the mix not only gave me a bigger screen to work with, but better controls for exposure and gimble operation. Plus reviewing the video is quite nice, and you can even save and publish at this point if you wish. The Mimo app can also stitch your panoramas and produce the timelapse videos you've captured. If you want to build your own panos, such as with Lightroom, the individual files are the microSD card in the OSMO. Since I was in Las Vegas, I decided to really push the envelope and record night video in slow motion mode. The OSMO Pocket has a tiny 1/2.3" CMOS Sensor, so this seemed like a challenging test. I'll let you judge for yourself by viewing the following movie. Clearly, the footage isn't theater quality, but it's impressive if you stop and think that all I've done is pull this little device out of my pocket, hold it in my hand, and record. Some of the harshest criticism of the OSMO Pocket comes from the very audience it was designed for: video bloggers. Triple-tap the right button, and the camera lens whips around pointing directly at the operator. Press the record button, and start talking. And just to be brutal, I set the OSMO Pocket to 4K capture. I thought it handled both the audio and video quite well, and is definitely usable for individual field reports. See what you think. The DJI OSMO Pocket is a perfect device for those who want to capture the world while moving through it. 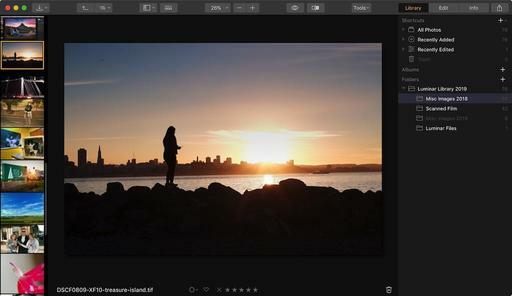 You can easily add your own commentary, suplement the reporting with 12MP still images, panoramas, and timelapse clips. I don't see it as a device for two-person interviews and more sophisticated reporting. The OSMO Pocket is for individuals, sharing their thoughts and their view of the universe. And as such, I consider it a breakthrough device, especially for $350. The DJI OSMO Pocket has a high Nimbleosity Rating. What does that mean? You can learn about Nimbleosity and more by visiting TheNimblePhotographer.com. 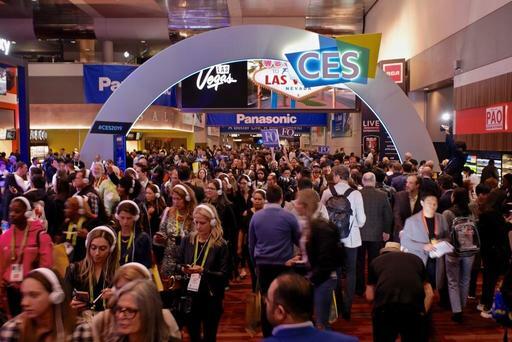 The doors opened at Las Vegas Convention Center and the people flowed through them to experience the first day of the 2019 Consumer Electronics Show. After exploring both the North and Central Halls, here 5 takeaways from my adventure. Transportation is indeed getting exciting. Automotive technology is sophisticated and seems to entering a new golden age. And it's not just cars as we know them, but versatile robotic devices that can transport people and cargo in a variety of situations. 3-D Printing, instant photography, clever projectors, and a variety of fun imaging tools filled both booths. To be honest, they were a couple of the most fun places to hang out. 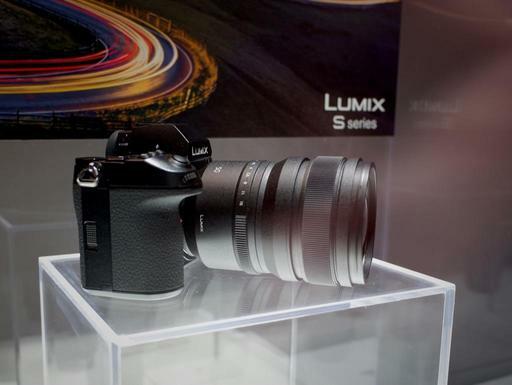 I got a good look at the Panasonic S2, spent time in the Sony booth, checked out Nikon, and visited Canon. Most lenses for full frame mirrorless, especially the zooms, are just to dang big and heavy. In terms of size and weight, it feels like DSLRs all over again. 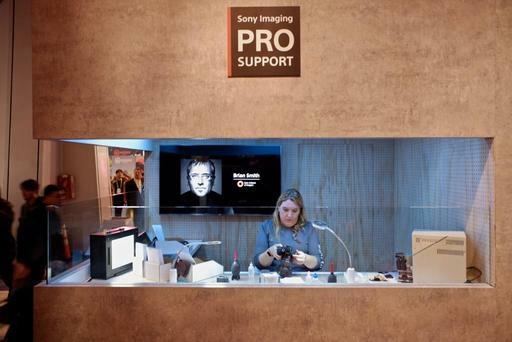 Among all the glitz and glamor in the Sony booth, there was the Pro Support team working on cameras. Not sure whose they were, but the message was clear that Sony wants to be a player with professionals. There's a reason why the halls are crowded. CES is a fun event. It's thought-provoking, entertaining, and sometimes just plain whacky. But it's a treat for the senses, and it provides some insight into the direction of consumer technology for the year ahead. This is The Digital Story Podcast #669, Jan. 8, 2019. Today's theme is "Making Photographs with Ibarionex Perello." I'm Derrick Story. The Candid Frame Podcast has been running as long as The Digital Story. And over those years listeners have enjoyed the insightful interviews conducted by Ibarionex. And now he has a new book titled, Making Photographs. Seems like a great time to have this long overdue visit with one of the great guys in our industry. Hope you enjoy the show. 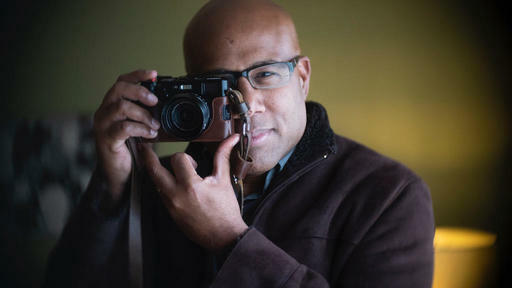 Ibarionex and I sit down to discuss his new book, Making Photographs, and our combined 25 years of podcasting. Set colors and fonts on your entire website at once - You can fine-tune your website and choose specific colors and fonts for every element of your Portfoliobox site: menu, logo, text, headers, links, etc. Or you can opt for the quick and easy way and change all of them at once by choosing one of the preset combos we've prepared for you. Go to Colors and Fonts and click on Color Scheme or Font combo. Mike and I made this movie on the final day of last year's SF Street Photography Workshop. (Here's link as well.) It provides you with an inside look at our premier urban event. We're going to have just one more street photography workshop in SF, this coming April. And we'd like you to join us for the farewell to this long running gathering in the city. If you do want to join us April 26-28, and I hope you do, please visit the Workshops Signup Page and place your $100 deposit. That will secure your ability to attend when official registration begins later this month. You can also read more about the event on the TDS Workshops page. Coming off the holidays, we're very much in a group shot frame of mind. As we should be, right? Gathering people together is an efficient (and fun) way to document the event. But we sometimes forget the value of individual family portraits as well. And over the years, these are just as valuable because they give us as photographers the opportunity to capture the essence of the person we know. 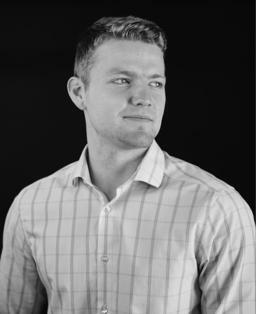 Zach at 22 years old. Photo by Derrick Story. Olympus OM-D E-M1 Mark II with Olympus PRO 45mm f/1.2 at f/1.4, ISO 200. Processed in Capture One Pro 12. Once you process the shoot, be sure to share a gallery with a variety of poses with your subject. Chances are good that the version they like will differ from your favorite. That's OK. They can use the images for social, resumes, etc. while you build the family archive. Updating family portraits is an excellent creative project for 2019. After all, we don't want the shoe cobbler's kids to have bare feet. To learn more about Capture One Pro, take a look at my online course: Capture One Pro Essential Training on LinkedIn Learning. You can also tune in on lynda.com if you prefer your training there. Either way, I have four hours of entertaining education that will help you master this excellent photo management and editing application. This is The Digital Story Podcast #668, Jan. 1, 2019. Today's theme is "Happy New Year!." I'm Derrick Story. I want to take a moment to acknowledge our productive 2018 and express my optimism for the year ahead. I'm not going to take much of your time today - just a few thoughts before we get back into full swing next week. Regular listeners know that I'm up late every Monday night putting the final touches on our weekly podcast before I call it a day. I'm going to be up late this Monday as well, but for once not producing the show, rather, bidding farewell to a challenging, productive, and sometimes exhausting 2018. One of things that keep me energized this past year was this photography community. Knowing that no matter what happened in this crazy world of ours, we would get together once a week and focus only on the art and science of image making. There have been weeks when this show was an island of calmness in an otherwise sea of madness. And for that, I thank you, each and every one of you. Next week, we fire up the machine again and begin the year with an interview with Ibarionex Perello of the Candid Frame. I'll also be in Las Vegas for CES, and will be reporting on the things that I discover there. It's going to be a fast start to 2019. I'm so glad that you'll be there with me. We have two more spots on the reserve list for the Joshua Tree High Desert Adventure this coming March. Full itineraries go out this week to reserve list members. The Adobe Rockpile is located conveniently on the way to Joshua Tree National Park,just minutes from the west entrance. Enjoy our Hammock,hot tub,views, and desert scenery!This Property is the perfect blend of comfort, convenience, nature, and high desert style. The Adobe Rockpile is located in the most beautiful neighborhood in the hills of Yucca Valley. It feels like you are out in the national park, but are only one to two miles away from all the in-town amenities. Surrounded by open space, boulders and other custom homes with plenty of space in between, you will feel all the comforts of home and more in this neighborhood. If you want to join us in March, If you want to join us in 2019, and I hope you do, please visit the Workshops Signup Page and place your $100 deposit. That will secure your ability to attend when official registration begins. Inner Circle Members: We have a new photo challenge: "Repetition of Pattern." Tune into your Patreon page for all of the details. Challenge runs through Jan. 15, 2019. The honoree receives an official Nimble Photographer water bottle made by Victorinox. Skylum has released Luminar 3.0.1 for Mac and Windows that addresses a number of annoyances with the initial release of Luminar with Libraries. For Windows, go to Help > Check For Updates. Luminar always checks for updates when it starts. If Luminar crashes, rerun your downloaded installer. The current version will be installed automatically. I've been using Luminar 3.0.1 for the last day on my Mac, and I'm having a good experience with it. So I'm getting things set up now for adding it to my overall photography workflow in 2019. New users can purchase Luminar 3 for $59 ($49 with coupon code THEDIGITALSTORY). That's $20 off the standard $69 price. This special offer is good from Sunday, December 30 through Wednesday, January 2, 2019. If you didn't get your photography gear itch scratched during the holidays, here are five great deals that you might want to take advantage of right now. They are good through Saturday, Dec. 29. Kodak Photo Printer Mini - $49.99 ($50 off) - Create fun snapshots as you wander the world or hang out with your friends with the portable and battery-powered white Photo Printer Mini from Kodak. This compact and lightweight printer connects directly to your smart device using Wi-Fi and can perform a one-touch connection thanks to built-in NFC. From here users can then open a mobile app for their iOS or Android device and print from a variety of sources quickly and easily. 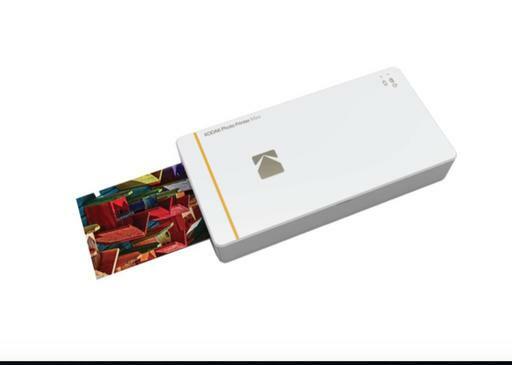 Using D2T2 dye diffusion thermal transfer technology, the Photo Printer Mini can then produce a full-color credit-card sized 2.1 x 3.4" photo in about one minute. It also places and overcoat on the image that will protect the image from damage, including by being fingerprint and water resistant. 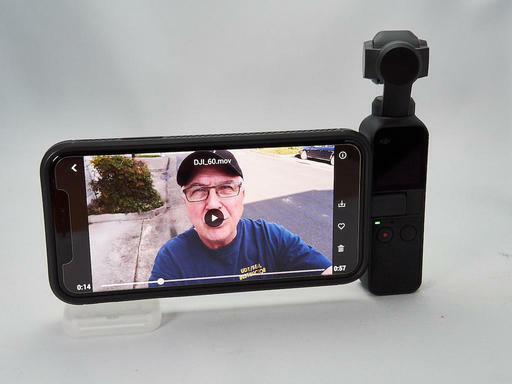 Joby GripTight POV Kit - $9.99 ($30 off) - Enhance your smartphone photography with the Joby GripTight POV Kit. 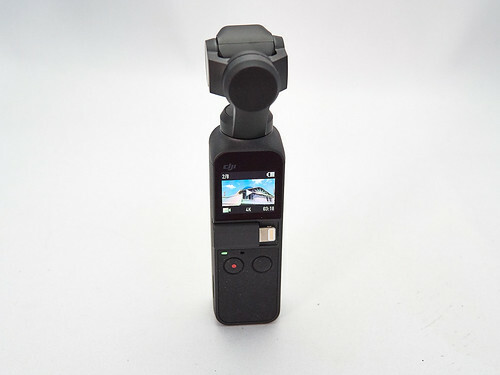 This kit consists of a Joby Impulse Bluetooth Remote and the Joby GripTight POV, which fits devices 2.2 to 3.6" wide. 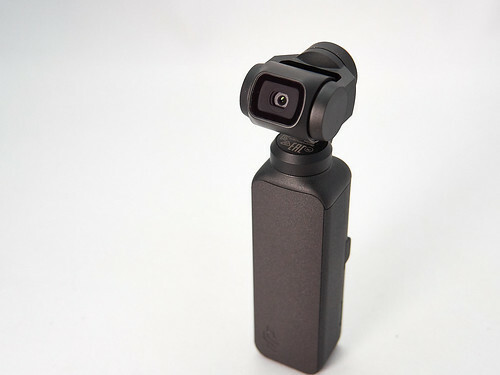 The GripTight POV also features a cold shoe adapter and a poseable handle, which can be removed and used with pin-joint style accessories for action cameras like the GoPro. The remote connects to your smartphone via Bluetooth and acts as a remote trigger from up to 90' away. SLR Magic 8mm f/4 Lens for MFT - $119 ($230 off) - Ultra wide and ultra lightweight at just 3.9 oz, the 8mm f/4 Lens from SLR Magic can easily find a home on your drone or gimbal stabilizer. Designed for these demanding applications, this lens offers a 16mm equivalent focal length with minimal distortion and high sharpness, ideal for vast landscapes, tight interiors, and architectural work. Also, it has an f/4 aperture that allows for the lens to remain extremely compact. 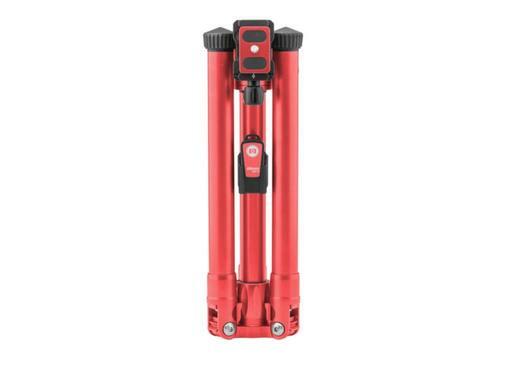 MeFOTO BackPacker Air Travel Tripod (Red) - $29.95 ($50 off) - The red BackPacker Air Travel Tripod from MeFOTO is a sturdy, lightweight, and compact aluminum alloy support designed for the modern enthusiast and smartphone photographer. Panasonic Eneloop CC55 Quick Charger Kit - $34.99 ($20 off) - The Eneloop CC55 Quick Charger Kit from Panasonic contains eight Ni-MH AA batteries with a capacity of 2000mAh and four AAA batteries with a capacity of 800mAh. The batteries have been pre-charged by solar power, so they are ready to use out of the package. The included CC55 charger has four charging bays with individual LED charge indicator lights, which shows how much each battery has charged. To charge a fully depleted battery, it can take between three and four hours, and once all the batteries are fully charged, the charger will automatically shut off for overcharge protection. This is The Digital Story Podcast #667, Dec. 25, 2018. Today's theme is "The Inside Scoop on Luminar 3 with Libraries." I'm Derrick Story. 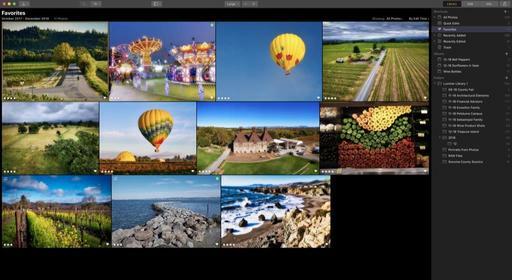 On Dec. 18, Skylum released the long-awaited Luminar with Libraries. What was originally perceived by customers as a Lightroom replacement proved to be an asset manager of a different type. Some love it, others are disappointed. Where you land on this spectrum depends on your needs. Helping you determine that is the focus of today's TDS Photography Podcast. After being through the beta testing program, monitoring the online Skylum Public Photography Group, and preparing for my recent Nimble Classroom on the subject, I feel like I have a good handle on the first release of Luminar 3 with Libraries. I cover the highlights in the first segment of today's show. Each week for the month of December, I'm going to feature an inspirational photographer who uses Portfoliobox as his/her platform for presenting their work. This week I want to point you to www.luigiquarta.com/. Luigi Quarta is a conceptual photographer, who uses photography as a means of expression to represent concepts, feelings, and moods. He writes about Portfoliobox, "Portfoliobox has a modern design that I like a lot and is very easy to use. It's really a great platform to open your personal website." What Are Your Real Life Shots of 2018? As photographers, we have this unique opportunity to see our lives in ways that others cannot. Find those real life moments, look at them, then think about what you want to do this coming year. Here's why. Inner Circle Members: We'll start a new Photo Challenge after Christmas. Stay tuned to your Patreon page for upcoming details and the prize. What Are Your "Real Life" Shots of 2018? Most photographers are this wonderful mix of artist and historian. But many of the images that we share online tend to be more from the artistic nature rather than the storytelling. That's OK. Nothing wrong with impressing our peers with our creative chops. 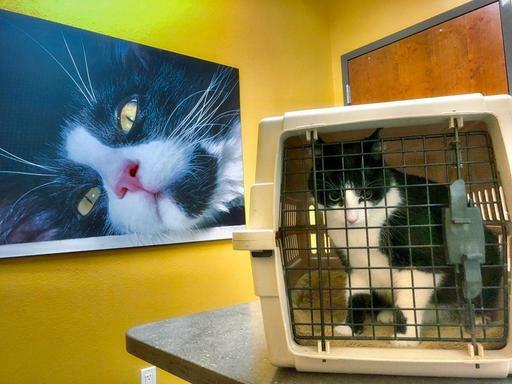 "Trip to the Vet" - Sylvester had developed a constant sneeze that needed attending to. I took her to the vet for advice. While we were waiting, I noticed the photo of another Tuxedo cat on the wall. I really liked the juxtaposition of Sylvester in the foreground against the image on the wall. BTW: Sylvester is fine now. We treated her with some meds, and she's back in the pink. And she has been one of my many blessings this year. Photo by Derrick Story. iPhone X. But here's an exercise that I think you will really enjoy. Go back through your photo collection from 2018, and mark the "real life" images. You know, those snapshots from gatherings, home repair, pets, kids, tough moments, family members, and friends. Put those images in a collection, and build a simple slideshow with them. Be sure to add a dash of your favorite music. Then, on New Year's Eve, share that collection with any friends or family who you happen to be with. And if you're flying solo, share it with yourself. Regardless of how good or bad you're feeling at the moment, I promise that a faint glow will come over you. If the images are challenging, then know that you met that adversity and made it through the year. If the pictures are heartwarming, then give thanks for your blessings. For many of us, it will be a mix of both. As photographers, we have this unique opportunity to see our lives in ways that others cannot. Find those real life moments, look at them, then think about what you want to do this coming year. Happy Holidays and Peace on Earth.